Essential Oils that help with bee, and wasp stings. Protective Blend and Cleansing Blend. 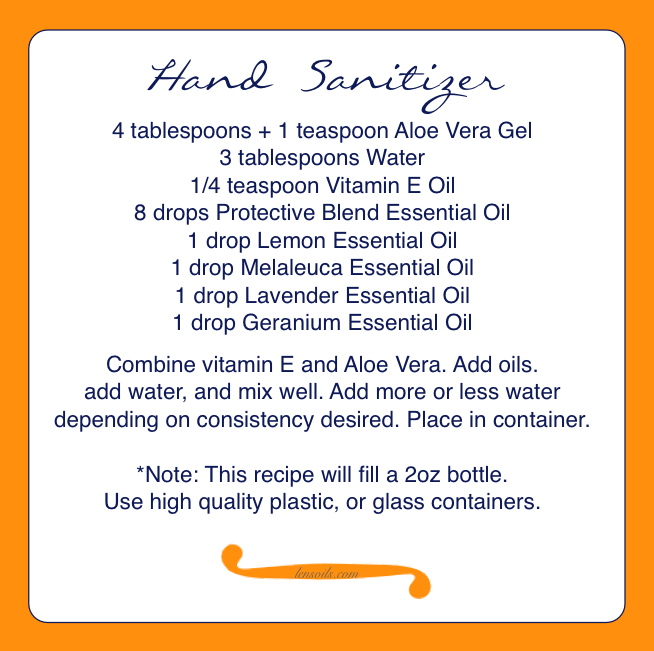 I made this recipe of hand sanitizer today, I am very pleased with how well it works.